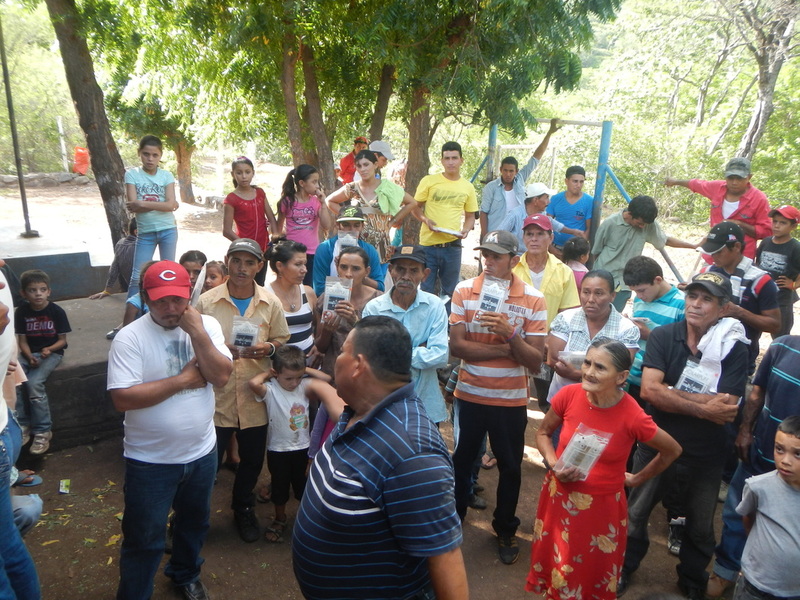 This is a current report from Just One Opportunity Nicaraguan Field Director Ms Ana-Julia Orrozco on how the political situation in Nicaragua has affected our mission. In times past, Nicaragua has been listed as one of the safest countries in Central America. Described as developing at a controlled through tourism, projects and innovations of its young people. However this year 2018 has taken a horrific turn affecting our entire population. This crisis began in mid-April of 2018, leaving as a consequence hundreds of deaths, private companies closed, thousands of unemployed who have resorted to leaving the country. The crisis has affected our economy and also our physical security in every way. There has been so much insecurity in the country that most universities and schools decided to close indefinitely. Students who attended class did so with fear and had to go through barricades with armed people. Because of these challenges attendance dropped significantly. As leader in the organization, my team and I have been analyzing the situation and looking for a local economic partner since we are looking for additional opportunities to raise funds within our country, to improve conditions in the areas we minister. We have been hindered in this endeavor due to the political situation that has occurred over the last 6 months. The churches have been in constant prayer for the stability of the country since this situation has left people afraid to go out into the streets. People have not been regularly attending churches, and the work of evangelism was stagnant for a while because the pastors could not move. However their activities within their communities have continued despite fears. 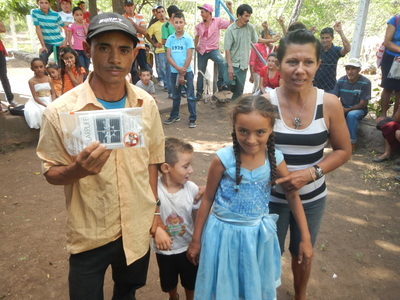 Our pastors are motivated by the love that God has placed in their heart towards their people to evangelize and are very grateful for the help that the organization is providing them in HIS daily work within the Churches. school snack, since the barricades prevented the passage of the trucks that moved the children's food, leaving them hungry. During the height of the crisis months, children attended classes without breakfast because parents could not move from their communities due to danger and also due to high food prices. Presently the school snack is arriving at schools but in fewer portions since the economic crisis has affected our country in such a way that it cannot manage to supply the whole country. In the month of July JOOP carried out a feeding project supplying the families of the Albellanas community, which is the community that suffers from having the least economic resources. 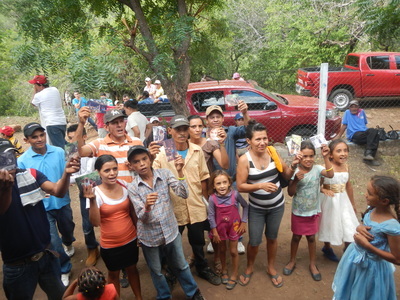 Thanks to the organization the families were able to withstand the food crisis that was ongoing at that time. In this case, the biggest issue was in transportation to the schools due to the barricades. Buses could not reliably transport students for fear of being burned. Parents were afraid to send their children because of the danger, since most attacks were on young students. This led to a temporary school closure and as consequence a delay in presenting school material and lower grades on average. As a leader in the organization I have been motivated by the students who show their initiative to develop personally and in their education. They are driven to improve their grades and in spite of their challenges. One of the most affected areas has been on the university students, since they are mobilized to other cities to champion for more educational benefits. The following crisis, pushed some universities to close temporarily, and those that continued to operate did not do so regularly. Public transportation was also challenging due to barricades and parents were not always wiling to send their children to classes. There is still no stability in the country, and the situation left an increase in transportation expenses in many cases the students only have the help that Just One Opportunity offers them. opportunities to provide for their families with what is necessary. There are few people available to help the needy and Just One Opportunity has been overseeing attempts to help their practical needs through training and projects within remote communities within Nicaragua. 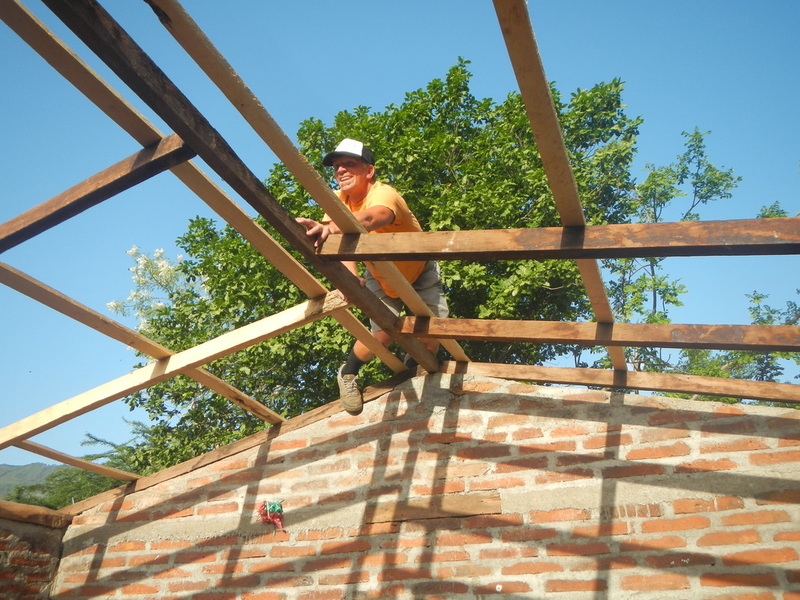 During the political crisis many families were left without food and so we implemented a project to provide food for the community of Albellanas and also helped in the construction of a latrine in the home of two older men with limited resources and ability to move. Please receive our fraternal greetings from the 5 pastors of different churches you support. We thank you for letting us be part of your ministry and may the peace of God continue to be a blessing to all of you who are part of this team. Dear brothers, we thank you for all the financial benefits that we have received from you to do our ministry. We are field pastors who do missions, that is, we preach in places where the gospel is almost unreached, and by the political situation in which we are living in the country the poverty increased more in the urban areas where our churches are located. By the power of Christ, we live by faith. For this reason it is that we as pastoral leaders ask that you continue to support us. We expect 2019 will be very challenging both spiritually and materially. Currently, the economy of our country has decreased more than 3% and your help to us allows us to purchase the tools needed to reinforce our evangelism efforts. We thank you always for your good will and your financial help encourages us in our commitment to our ministry. Please receive our warm greetings and sincere wishes for your continued blessing in the Lord. We want to take advantage of this occasion to present ourselves to you. We are a team of 12 teachers, 5 preschool and 7 multi-grade primary school teachers from different community schools. We want to express our thanks to you, the supporters of Just One Opportunity and let you know we have been working with new strategies and initiatives and in the reinforcement of our teaching mission. One of our initiatives is to provide monthly curriculum and planning support to students who have greater difficulties in their learning. Because of our impact in the lives of our students we urge Just One Opportunity board members and supporters to continue to provide the monthly support you provide us. We won’t hide how critical this current year 2018 was to us due to the sociopolitical situation facing our country. 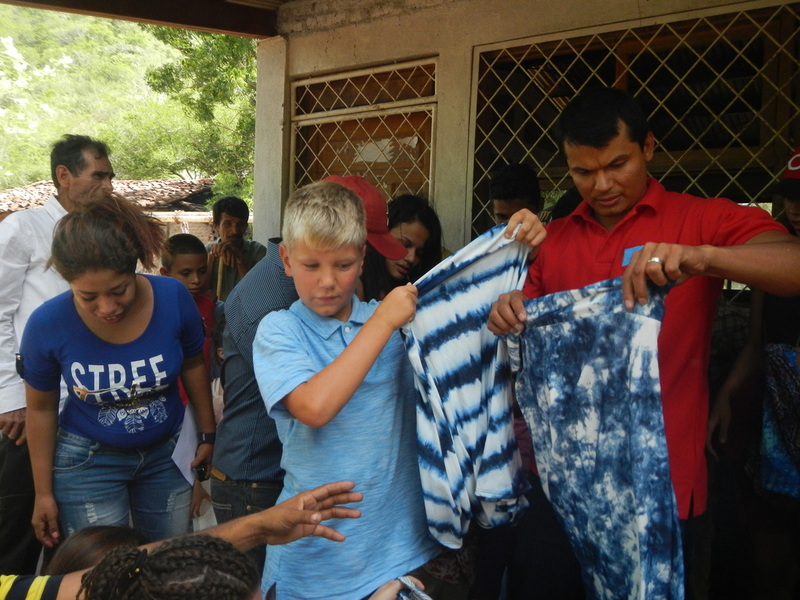 The crisis has affected us directly and has touched the entire Nicaraguan population. To put it clearly, in 2019 without your support it will be very difficult for us to continue to provide school reinforcement to our most challenged students. Why so critical? As a teacher we believe that when we bring up our challenged students we improve the pace of learning for the whole class. Your financial support empowers us to successfully complete the school year and helps us in our school expenses. We hope to hear that you will continue to support this important work. We say goodbye but not without first wishing you success in your work. July 2018. Many in America don't know about the crisis in Nicaragua. A search on the internet will give you an idea on how difficult the situation is there right now. The situation in Nicaragua has left thousands of families without nothing and living in fear. In the middle of hardship and uncertainty in Nicaragua, some people are trying hard to continue with life. 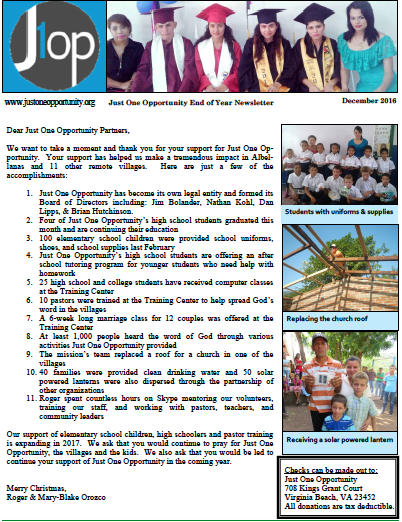 Just One Opportunity's mission continues in Nicaragua however the situation on the ground makes it difficult to reach the villages we serve and we had to cancel a planned trip this July. 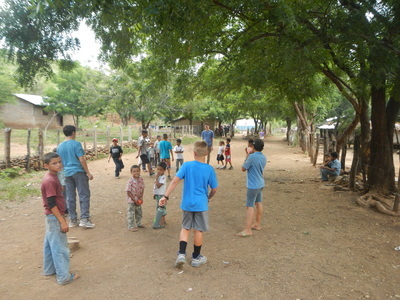 In Sebaco, the location of our training center there is fighting and recurring violence is within blocks of the center. Although some of our efforts have been challenged, we have not given up hope and expect to deliver supplies and continue the full education and steady support to local churches as soon as we are able. Just one opportunity continues to work hard to provide food and help the people also produce their own food. 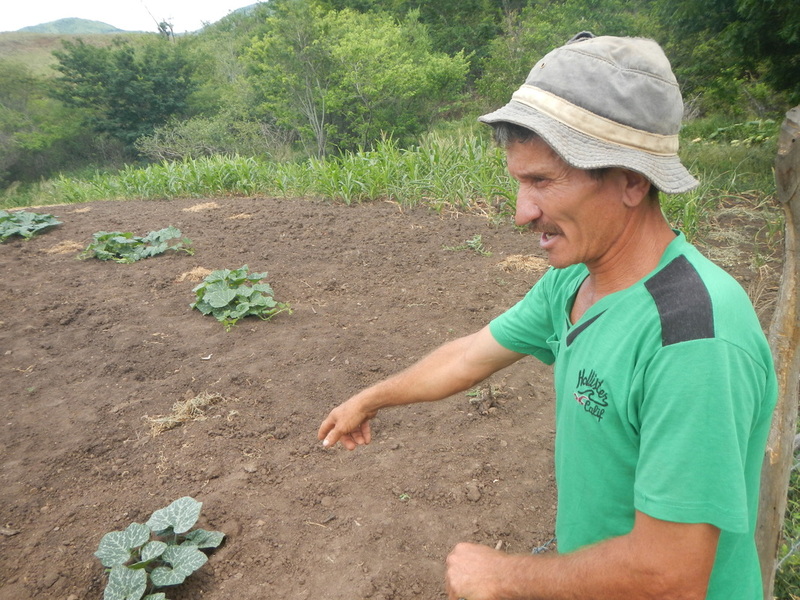 In Abellanas we have seen some of our previous efforts pay off as the community has worked together to come up with their own solution to their problems. 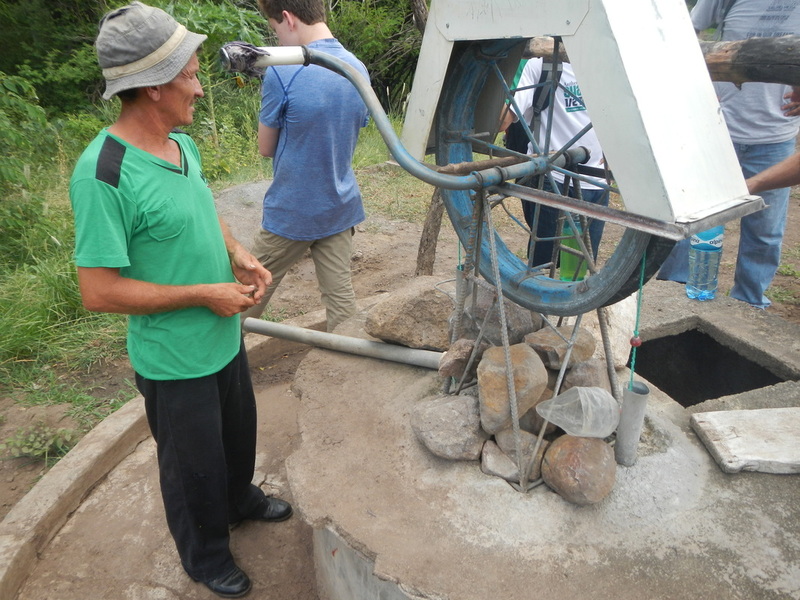 This initiative began with a family who we have helped to buy a water pump to do irrigation to grow crops as part of the practical needs part of our mission. 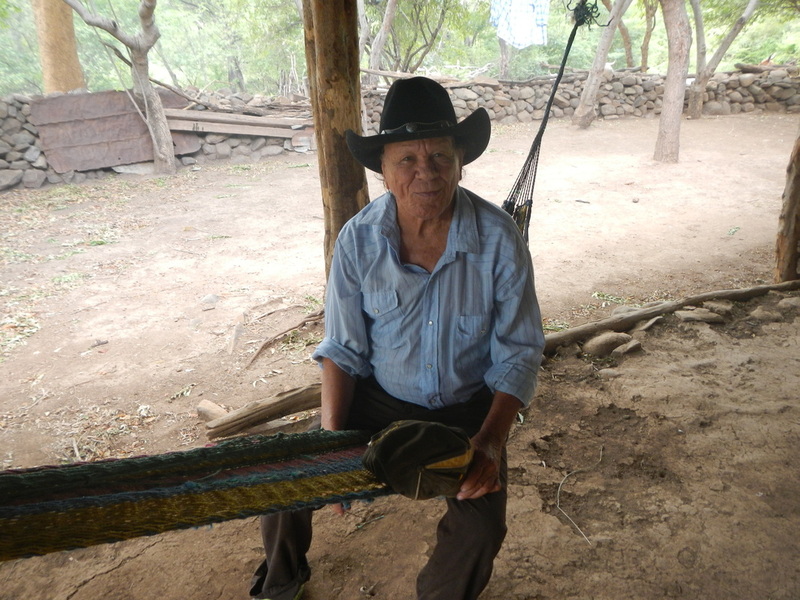 Domingo, the head of the family is a man who is not giving up and he is doing everything possible to provide for his family and the community. 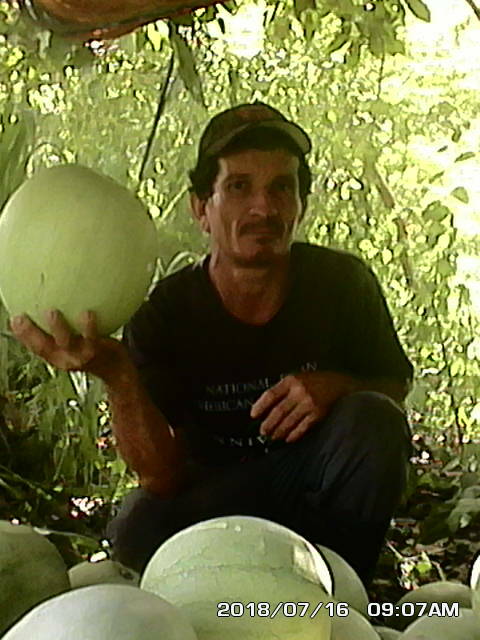 Domingo just harvested a successful melon harvest and distributed it to Abellanas to help ease hunger in his community. Just One Opportunity is committed to fight the cycle of poverty continues to help families like Domingo. Just one opportunity continue to it's best in the support we provide to pastors, teachers, students and in practical needs. Please continue to pray for Nicaragua to stop the unrest and for healing in this beautiful country. This past month has been an amazing experience. I definitely had a one of a kind opportunity to serve here in Sebaco. I am so thankful for the time I was able to spend here. Also, I was able to spend time with some of the most amazing people anyone could ever meet. 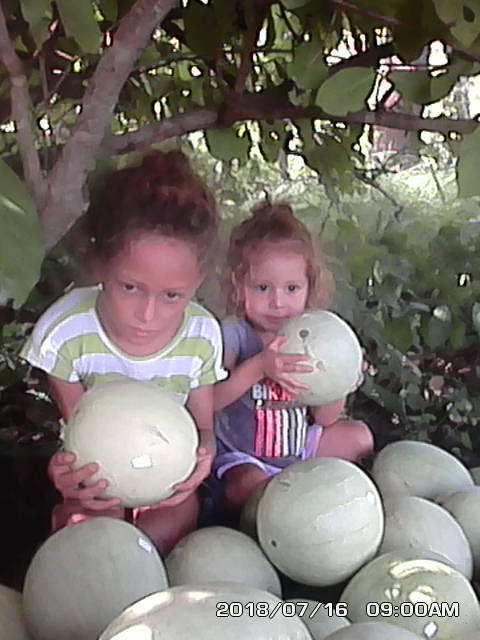 My primary purpose in coming was to do daily devotionals with and teach English to Ana Julia and Jazmina. I ended up doing that and more. 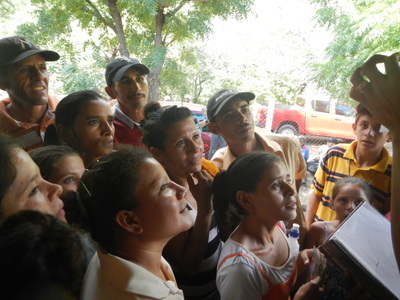 The daily devotionals and English classes were joined by a JOOP student, named Glenda. So our daily routine consisted of the four of us girls. However, our daily routine was often subject to change. We usually had one or two additional people, and sometimes as many as ten or more. I also attended a few Just One Opportunity meetings, for the pastors and teachers. Daily devotionals, we used the Gospel Centered Life, created by Serge. Ana Julia, Jazmina, and Glenda used the Spanish version and I used the English version. We would also read an additional Psalm and pray together. I think the material was clear and the time was well spent. A few days Jazmina and Glenda were gone and Ana and I were able to go even deeper, talking about our walks with God. It was definitely a good opportunity for growth together as women in ministry. English class with Ana Julia, Jazmina, and Glenda. We focused primarily on conversational English. We covered all the basics such as greetings, personal introductions, question, simple sentences, ect. They definitely all have the desire to learn English, but in Sebaco most people are not exposed to English. So it is very difficult to learn. In the reading exercises they did very well comprehending English. However, natural speed and pronunciation are still very difficult for them. English class with the Just One Opportunity Students. The most memorable class was one, about a week after I arrived. We had been doing daily classes just the 4 of us for 7 days so I was expecting the class to be that size. During breakfast, I remember looking out the door and thinking, wow there are a lot of people out by the mango tree. However, those people turned out to be the students for that day. We had over 10 extra students. I think it went very well. It was great getting to know the Just One Opportunity Students better. The following Monday we had a similarly sized class. That also went very well. I was surprised by how much English some of the students know. Many of them practice frequently and know English words, but do not have the opportunity to practice, in order to really become fluent. I was very impressed by the younger students who came as well. A few girls were under 14 years old, but they were able to keep up with the class and did very well. Meeting with the Pastors. I did not understand all of this, because it was in Spanish. However, I really liked how it was structured. The Pastors all gave an update about their congregations, needs, and struggles. They also discussed new ideas to help with the problems and better serve their community. The meeting with the teachers. This was also a very good meeting. The teachers all gave updates about their schools and students. They also shared songs and activities they use with their students. I think they are a great group of teachers. They are all very passionate about teaching. The training center has many copies of the Spanish New Testament Bible with Psalms, but I think they need complete Spanish Bibles. The computer training would be easier if there were more laptops, many of the students have to share during the training. The University students only go to school on either Saturdays or Sundays. So if it were possible to seminars or intensive courses at some points during the year, I think it would give them a leg up academically. Also, computer programs, such as Roseta Stone could be offered to students who want to learn English. 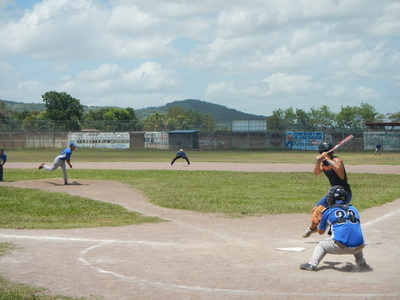 The American Nicaraguan School in Managua, holds the English Language Proficiency Test (ELPT). If students pass that test, they could study or work internationally very easily. In Summary, I think there is a way to provide Just One Opportunity students with more options than what the Nicaraguan Universities are offering. 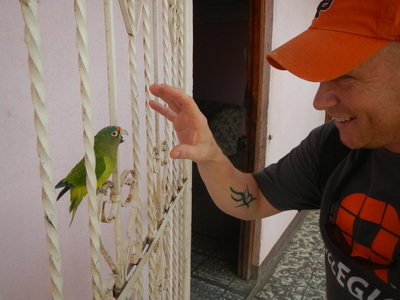 I am sad to leave Nicaragua! I am so thankful for the time I was able to spend here. I will miss Ana Julia and Jazmina and all the students! I hope to return to Nicaragua again soon. 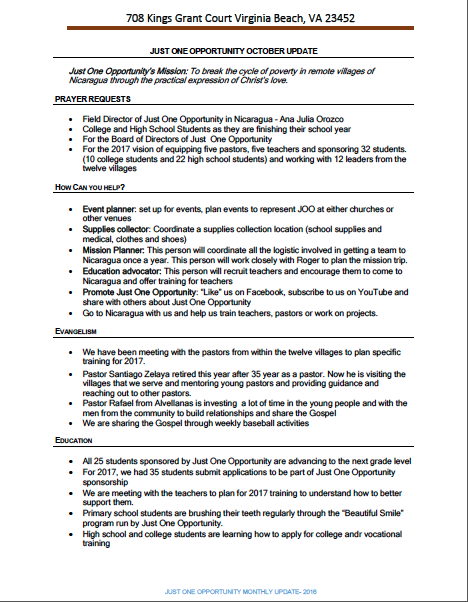 I will be praying for the Just One Opportunity ministry in Nicaragua. I had such a great time experiencing the culture and teaching and just living with these brothers and sisters in Christ! compassion of friends like you! lives of many more people in the remote villages of Nicaragua. trajectory of their families for generations to come.  Support 8 Pastors to continue sharing the gospel of Jesus Christ.  Change the lives of 53 students by sending them to school.  Support 8 Teachers to provide a quality education across twelve villages. and are trusting in His timing to provide everything needed. 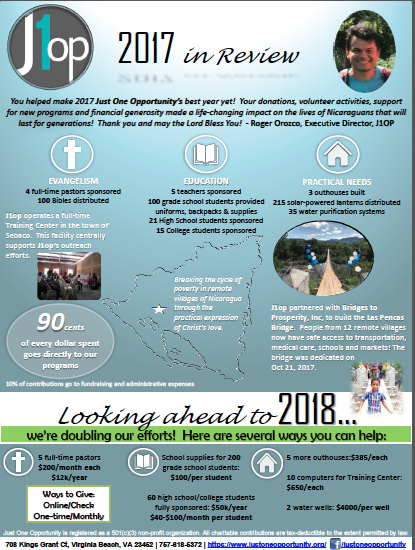 Please consider giving a year-end donation. families. Merry Christmas and Happy New Year! 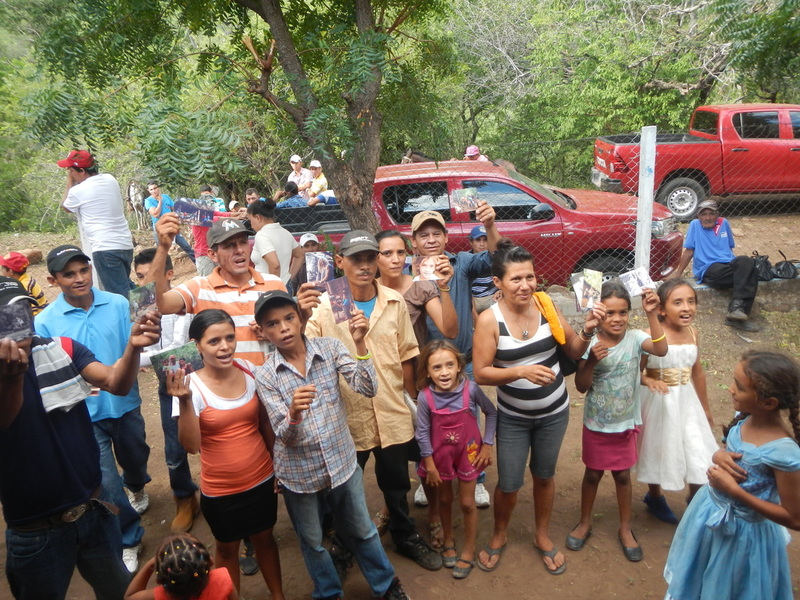 13 people gave their lives to Jesus during our mission trip in July. Pastors received biblical training every month. 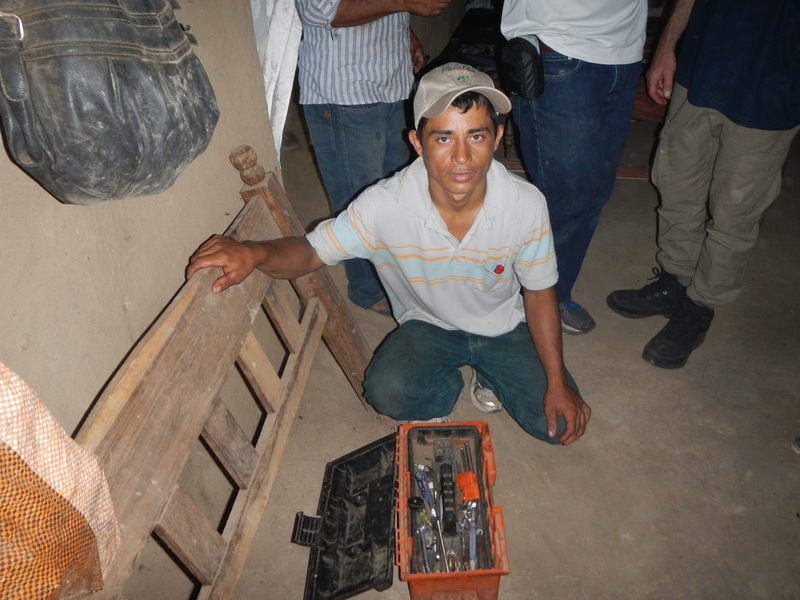 Our 36 students were mentored once a month by a pastor in the Training Center. Five teachers sponsored by Just One Opportunity received training on how to work with parents and how to involve them in the education of their children. Our sponsored students are all doing well in school and receiving Computer and English classes once a month. The five sponsored teachers are working together with the college and high school students to tutor the elementary aged students. A gifted teacher from Virginia Beach visited Nicaragua in July to train teachers from the villages. We anticipate 50 applicants to enter the program in 2018. Through our partnership with Bridges to Prosperity, a bridge is being completed-- over 3,000 people will directly benefit from it. 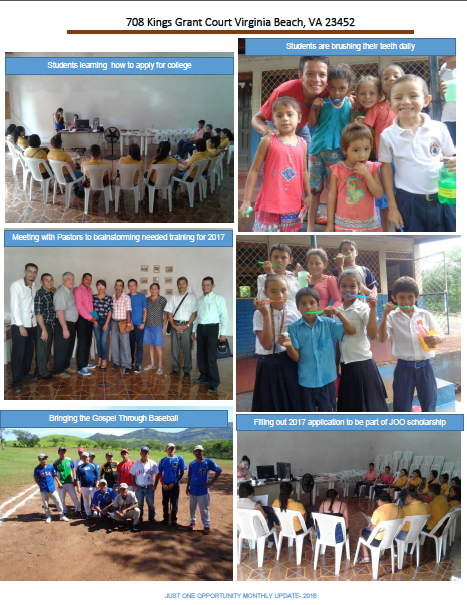 Click here for Our February 2017 Monthly Update. Six couples met last month to receive marriage counseling. They are studying the book, "Five Love Languages" taught by a couple who has been doing this for 12 years. The pastors met at the training center and were taught about working as a team and encouraging believers within their congregation to spread the Gospel in other villages. The 36 students are being discipled once a month by a pastor in the training center. Our students are starting a new school year. 13 college students and 23 high school are enrolled this year. The five teachers sponsored by Just One Opportunity are working together with the college and high school students to tutor the elementary aged students. The 36 students that we sponsor are receiving English classes once a month. We are in the process of creating the design to build a bridge. ​Click here for Our January 2017 Monthly Update. Evangelism: On January 14 we meet with the pastors from the twelve villages we serve and created a plan to reach out to other villages and disciple leaders to spread the Gospel. We planned events for the entire year for pastors, elders, and married couples. We brainstormed and asked: How do we disciple and raise leaders within the church? What does it mean to serve in God’s Kingdom? 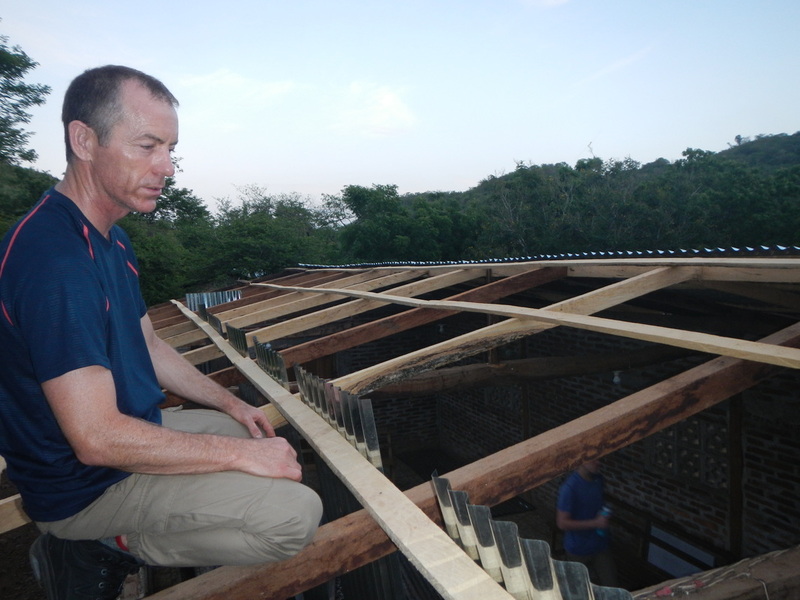 How can we more effectively share the Gospel in remote villages without churches? Education: We encouraged our high school students and their parents and we shared about trusting God with everything we have and the importance of being thankful towards God for the opportunity to receive an education. We uplifted our sponsored teachers and recommitted our supportive role as they strive to provide a quality education to the elementary children. 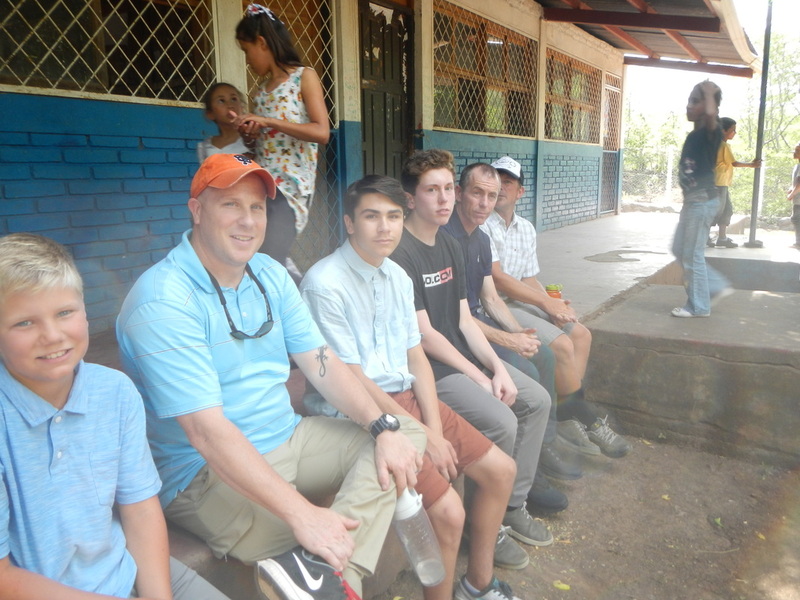 On January 13, we were at the school where Roger Orozco attended. We provided 120 uniforms to elementary school students who live in extreme poverty. Their parents are often unable to afford a school uniform which prevents a child from attending school. 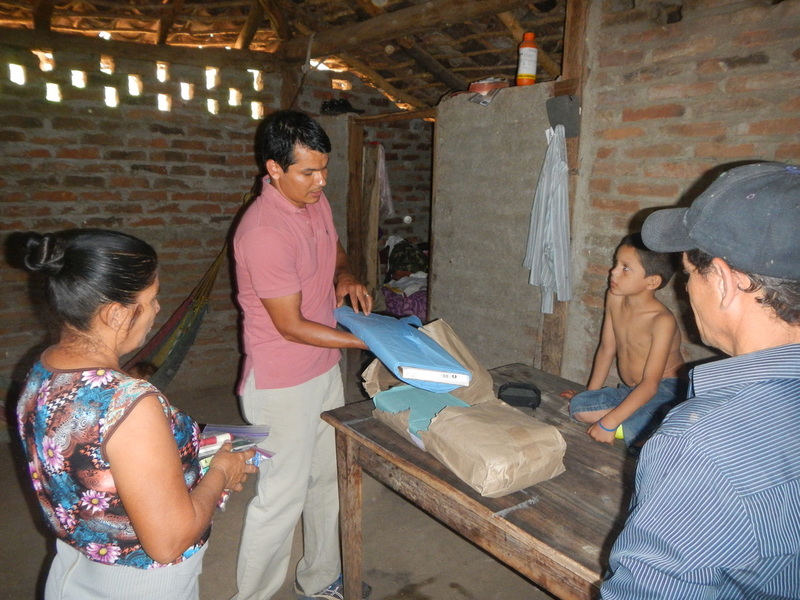 The students received a uniform, pair of shoes, backpack, five notebooks and pencils. About 300 people attended this event and the local representatives were extremely thankful for the support you provided. 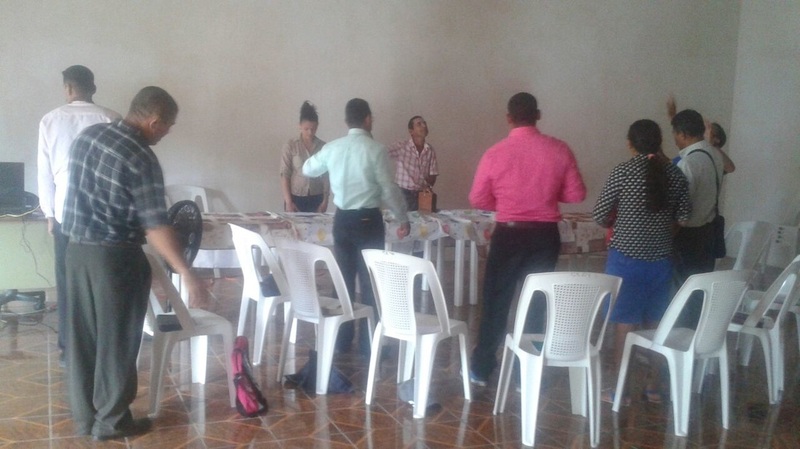 On October 29th we launched a meeting with prayer and with Bible reading done by pastor Santiago who also gave us some thoughts. We continued in worship with pastor Rafael and proceeded to explain our strategic plan for 2017. This was a well coordinated plan and we explained the various points and also discussed several of the points and learned some of their opinions on the matter. It was apparent that we have full transparency with the local church and they have interest in working in the ministry with us and gave us both encouragement in work as well as in personal matters. 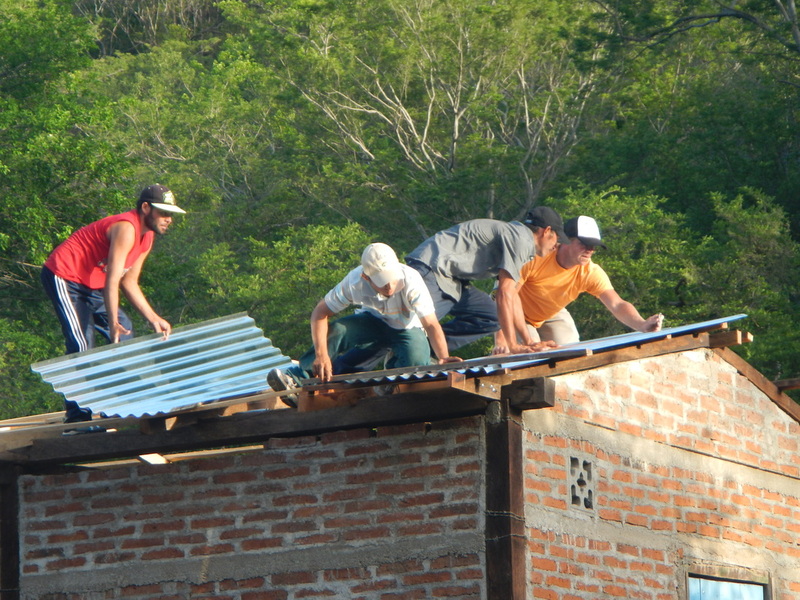 On July 23-July30, several men from Virginia went to Avellanas to replace the roof on the church in the village. Praise the Lord that He was with us! 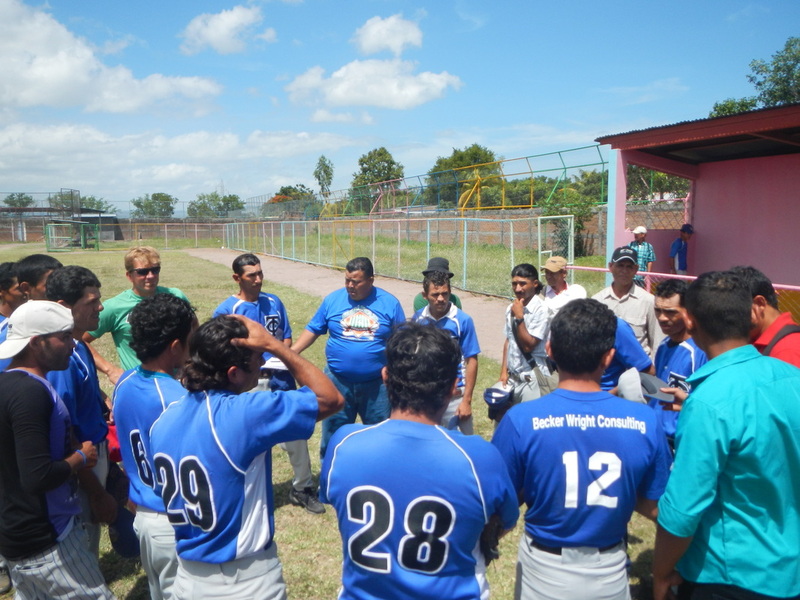 We were a part of Kingdom work and made connections with Nicaraguans.